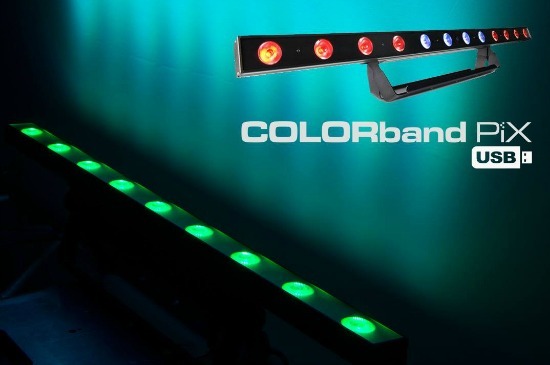 COLORband H9 USB is a D-Fi USB compatible LED strip light that functions as a pixel mapping effect, blinder or washlight. 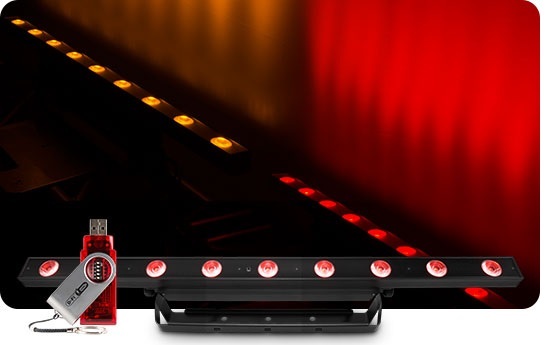 Generate a broad spectrum of colors and achieve natural-looking color temperatures with 6-in-1 LED technology and 3 zones of control create amazing chase effects. Individual LED control lets you create amazing animations and video effects and convenient multiple built in programs can be accessed with or without DMX. Power link multiple units together to avoid running cables operation of static colors and automated programs can be operated with an optional IRC-6 remote.